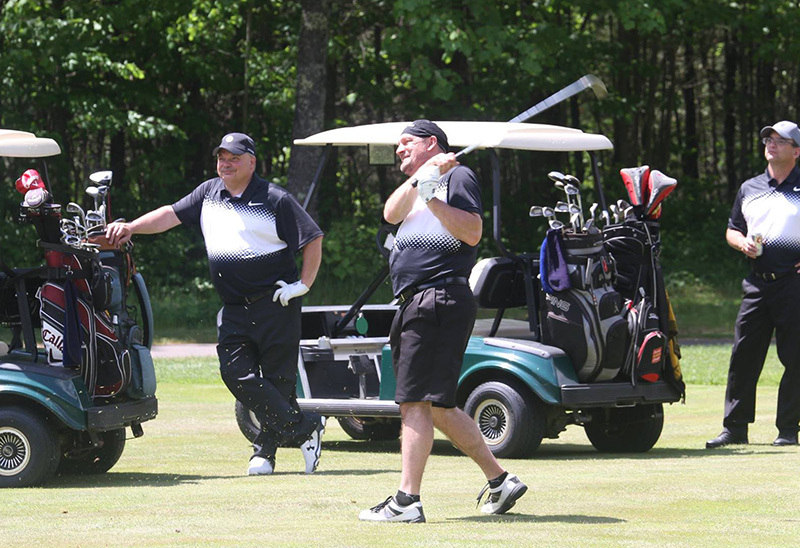 Please join us at the 23rd Annual B. Bruce Krier Angel Golf Spectacular on Friday, June 7, 2019 on the beautiful greens of St. Germain Golf Course in St. Germain. The Golf Spectacular scramble format also features a cash-prize putting contest. Your registration includes a commemorative wearable, use of a golf cart, beverage and food on the course, along with other great prize opportunities! After you knock their socks off on the golf course, join us at the Whitetail Inn for a celebration awards banquet with silent and live auctions. Registration for the Golf Spectacular is limited so reserve your team slot now! Deadline for registration is Friday, May 20, 2019. Sponsorships are always greatly appreciated but we need to know by May 20, 2019 to ensure special sponsorship signage and ad in the golf program. Please fill out the registration form online at https://BKrier19.givesmart.com. A special gift item will be awarded to those who register by April 30th. Requirements include full team registration with golfer names and payment in full by April 30th. Don’t miss out! Immediately following golf, cocktails & hors d’oeuvres, dinner & awards reception, silent and live auction will take place at Whitetail Inn, St. Germain, 9038 Highway 70 West, St. Germain, WI 54558. 715-542-2541. Every year, this event gets more “Spectacular” thanks to the generosity of people like you. We are beyond grateful for your support and participation. For questions on the golf outing, sponsorships or schedule of events, please contact Lolly Rose at 715-617-9794 orangel@angelonmyshoulder.org or Ann Marie Austin at 608-663-7133 oraustin@wicounties.org.